This most perfect world is starting to fall apart and some of the Marvelous X-Men are becoming wise to the veil X-Man has thrown over their eyes, or are they? We are into issue number three and still not a lot has happened. Some of the members are starting to question things, but I would have thought by this point more explosive things would have rocked the world X-Man created. While this issue was very dialogue heavy and I did really enjoy it, I felt that the pacing is a bit slow. That the story now is dragging a bit and I'm failing to see any struggle to the little amounts of conflict we have been seeing. This book though is still really good and I like seeing the slightly different versions of these characters. For Jean being so powerful, it really makes me wonder what X-Man did to her to make her so subservient. We saw her go against the rules with Bishop but now she is like a stepford wife following orders to the letter. This world is creepy and I like it, I just wish it would pick up a bit more. Even the main conflict in this issue didn't have the pay off I was hoping for. It was there and then over. There may be ramifications that will appear in the next issue or two but I was hoping we would start seeing some of that now. 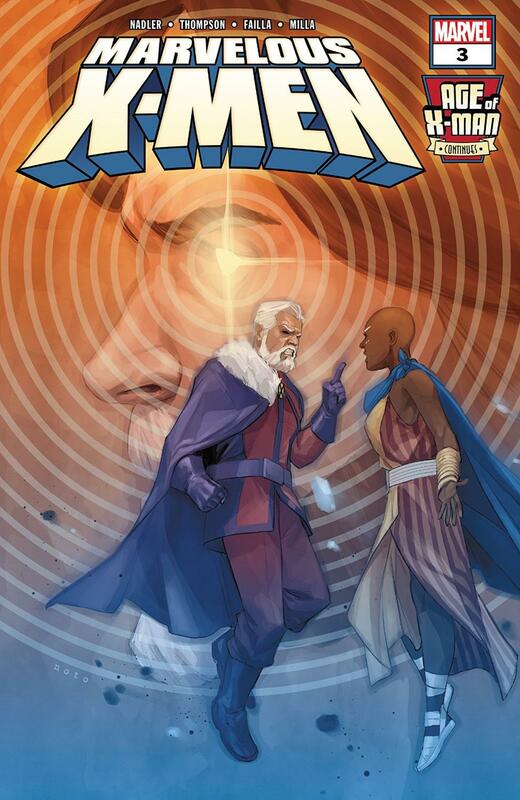 Overall this is still one of the better series in Age of X-Man. It may seem a little slow moving at times but the story is still really engaging and I'm excited to see what comes next.